We’re a little bit like the dental version of Cheers. We’re an upbeat, friendly practice where everyone knows your name and you’re always greeted with a genuine smile. Our modern office is bright and fully equipped with state-of-the-art technology. We’re not a corporate clinic, so patients aren’t ushered in and out with attention placed solely on their teeth or insurance limits. Our dedicated team knows every patient is an individual and we offer a customized experience that’s focused on you, the person. Our dentistry comes from the heart and we believe empathy and compassion go hand-in-hand with clinical excellence. Our philosophy is simple: comfort first (and, of course, offering world-class esthetic dentistry is a close second). We want you to actually look forward to your appointments and feel at ease when you’re sitting in our chair. We also strive to empower our patients through education so they can experience a lifetime of oral health. We incorporate a variety of cutting-edge imaging technologies into our exams, including digital x-rays, photography, intra-oral cameras and video for a truly comprehensive approach. We take the time to explain all available treatment options so you feel confident in your care. We’re passionate about creating naturally beautiful smiles but the true reward is the relationships we’ve established with our patients over the last 37 years and counting (yup, that’s a lot of smiles!). At MDCS, you can expect personalized, comfortable and advanced dentistry as we help you achieve a smile you’re proud of. We love meeting new patients and aim to make your first visit comfortable and stress-free. 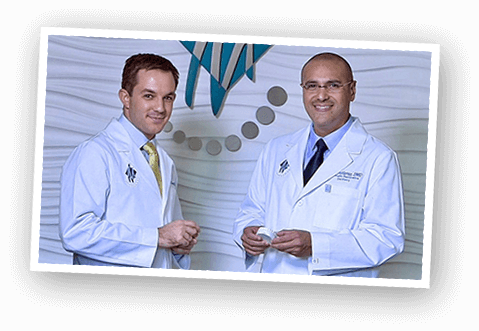 We’re committed to working with our patients to ensure treatment suits their budget.